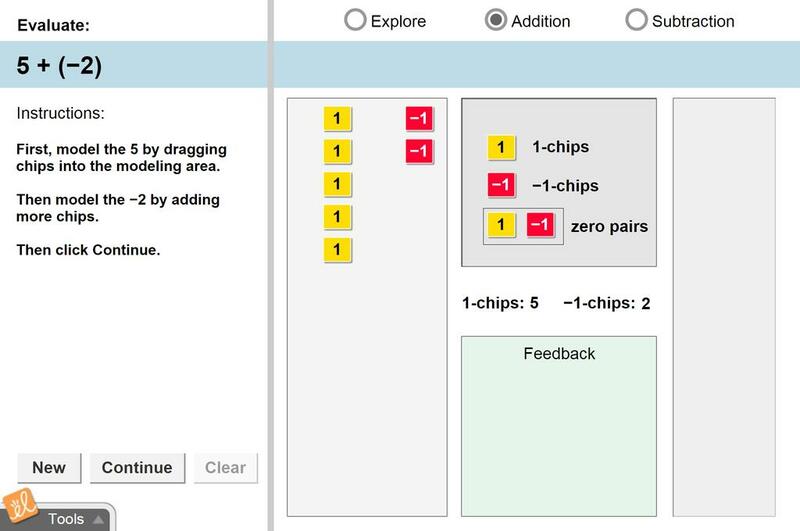 Use chips to model addition and subtraction of positives and negatives. Explore the effect of zero pairs. See how to use zero pairs to help special cases of addition and subtraction. Reformatted the existing guide as a table to make it easier for students to answer each of the questions. This is the exploration guide reformatted with clip art and more space for student responses. This is the same as the provided guide, but I added lines for answers. Great way to conceptualize and work with Integers! Great method for students to conceptualize this concept. Awesome Gizmo!! I think that students will be successful when they work with this Gizmo. All students learn by this Gizmo. The hands on is great. My students loved it. Nice visual to help students understand the "why" of the rules.